The ornaments on the tree that mean the most are the Kid-made ones, right? The ones that you keep year after year are so special! We've started making more Christmas ornament crafts this year (so watch this space for a few more fun ideas, coming soon!) We wanted to put together this round-up of Christmas ornaments for kids feature from you fabulous bloggers who link up week after week, with amazing creativity and fun ideas. If you're looking for a few special Christmas keep-sakes for the tree this year, check out the links below! 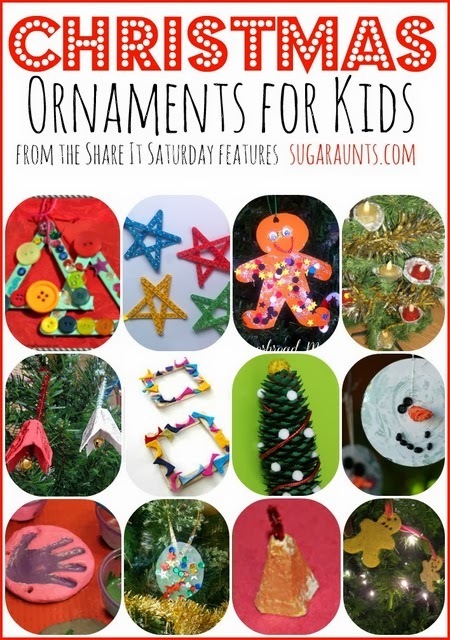 Get ready to get crafty with the kids, because these are some fun ornament making ideas! 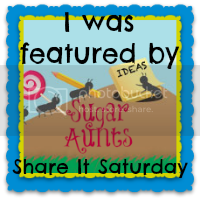 Stop by and see the other bloggers participating in Share It Saturday...Maybe you were featured! Be sure to visit the fabulous collaborative Share It Saturday Pinterest board where you can find loads of educational ideas and kids crafts. Check it out and follow along for great inspiration!